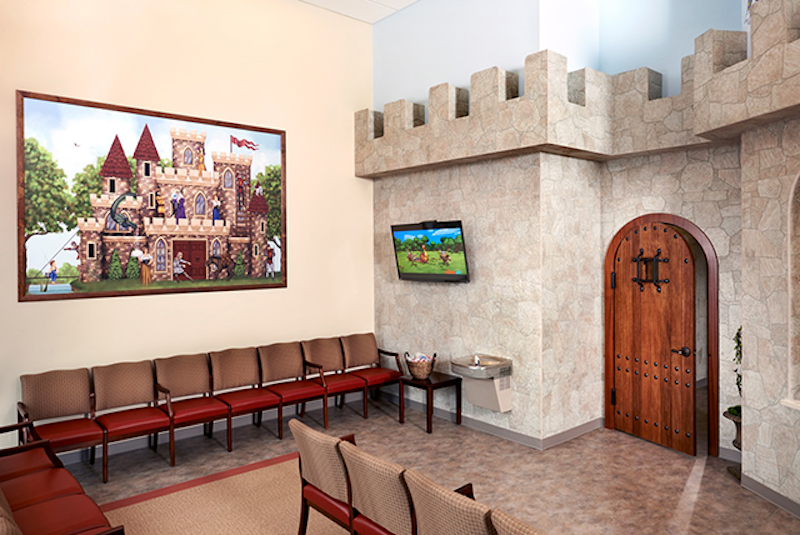 PM Pediatrics, Cherry Hill is a pediatric urgent care center serving the children, adolescents and young adults in Cherry Hill with extended hours, making them a great option 7 days a week when your child's primary care office may not be open. You can find this clinic located at 828 Haddonfield Rd and patients can walk in to see them today from 12:00pm to 11:59pm (last verified on 2018-08-11). Recognized favorably amongst their patients, PM Pediatrics, Cherry Hill has an average rating of 4.9 stars out of 5 based on 273 total ratings. Nationally, most pediatric urgent care patients see average wait times between 15-30 minutes before being seen by a provider, which should be expected at PM Pediatrics, Cherry Hill as well. As part of the group, they have a in miles away that you may want to consider if the wait gets too long. First time using this facility, great care for my son! I was incredibly impressed with the staff. Everyone was helpful and cheerful. My daughter came in with a broken finger (which needs surgery to insert pins into the bone) and the doctors and nurses helped her feel better and less nervous. The staff here was so nice and helpful when I took my granddaughter in for nurse Maids elbow. We were in and out in like 20 mins and back to a beautiful sunny day. I was in and out with my toddler. No long wait time. The stafff was great, and my son was excited about seeing the doctor although he was sick, I would choose this urgent care over and over again. Thanks for the awesome experience!! Amazing Pedriatics care! Not only is the facility kid friendly and super cute with a wilderness theme, the staff working there is kind, caring, & knowledgeable. They definitely deserve recognition! Thanks for taking good care of my daughter! My experience was great. My after experience was the opposite. My Dr. gave us sodium chloride nebulizer vials to use. I called after we used the ten the dr gave us, to have a script sent over for them. Was told by Chelsea they aren’t prescribed, they are over the counter. Called the pharmacy, they required a prescription. Called her back, finally she said the Dr would send a script. Just left my pharmacy and they never sent the script.......... No phone notification, nothing. Because of this I will not return. Every time I go the staff is nice and Drs.are friendly and listen. Usually not busy when I go but I'm sure like anywhere else it can get super busy. But I would still give 4 stars for the great care. The staff was extremely friendly and they worked efficiently to help me get out as quick as possible. Wonderful like usual! Take their time to listen to symptoms, and are real, honest doctors. Doctor was fantastic as was the staff and nurse. Def would recommend. Staff was great! No wait time at all. Out in 30 mins. Overall great place will continue taking my children there. The assistant we had was great. I had my 7 month old to be seen and my 3 yr old with me. She took the 3 yr old out of the room to distract him while we were being seen. I'm pretty sure that's not a part of her job description. This was our first time and by far the best urgent care! The doctor and the entire staff was extremely nice and made my daughter feel very comfortable. The doctor took his time addressing all my concerns and answered all my questions. I will definitely go back if and when needed.